According to Thomas Stone, MD, Retina Associates of Kentucky and new member of KentuckyOne Health Partners, more and more Kentuckians are being diagnosed and treated for diabetes. 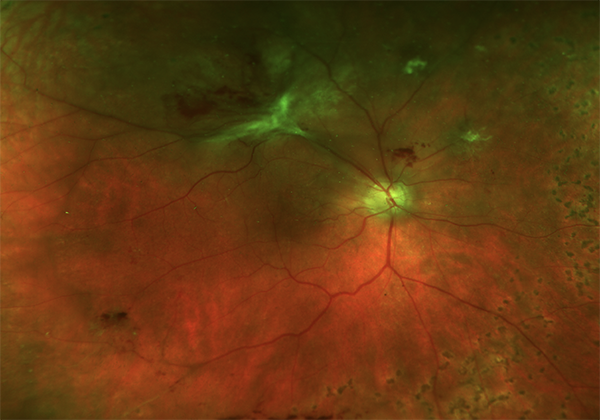 One of the most devastating complications of this disease is the vision loss that comes from retinopathy. Studies have shown this eye disease begins to threaten the vision of diabetic patients before they have symptoms. These same studies have shown that if diabetic retinopathy is caught early and treated, much of that vision loss can be prevented. Retina Associates is a statewide practice specializing in medical and surgical treatment of patients with diseases of the retina and vitreous. While their practice does not perform routine diabetic screening, they care for patients sent by other eye doctors who have more severe diabetic eye disease and need treatment. The physicians also serve as principal investigators in national clinical trials with research centers such as the National Eye Institute. As in most conditions, early diagnosis is the key. With new treatments, much of the eye disease can be treated, and even reversed. If left untreated for too long, permanent vision loss and even blindness can occur. For more information about Retina Associates of Kentucky, their specialists, clinical trials or locations across the state, contact them at 1-800-627-2020 or visit www.retinaky.com.